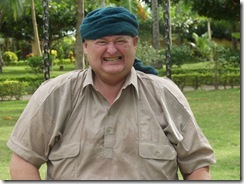 Gene Wilson while a unwilling "guest" in remote Mindanao at Zebra Falls! 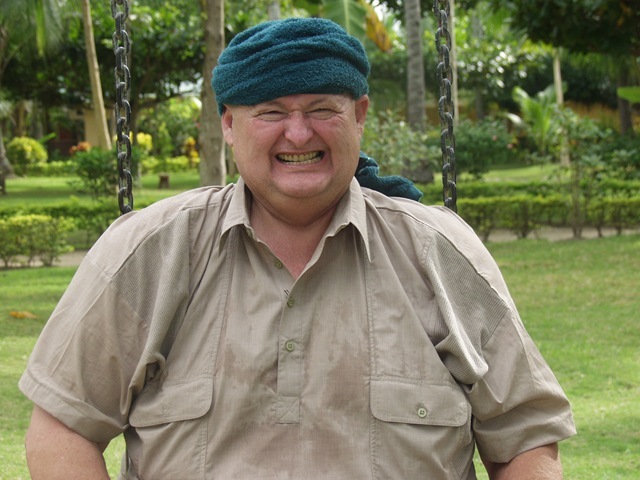 While being detained by a group of people in Mindanao in 2001 “Osama Bin Gene” irritates his captors by putting a towel around his head and pretending to be one of their fearless leaders. They did not appear to be as amused. After three days his hosts decided to release him.